that are available in electronic format. Many older papers are still missing! Mark Steedman (2004), Surface-Compositional Scope-Alternation Without Existential Quantifiers Draft 5.0, November 2004, for comments. Mark Steedman Alternating Quantifier Scope in CCG, Proceedings of 37th Annual Meeting of the Association for Computational Linguistics, June 1999, 301-308. Jason Baldridge and Geert-Jan Kruijff (2002). Coupling CCG with Hybrid Logic Dependency Semantics. In Proceedings of ACL 2002. Mark Steedman (2000) Does Grammar Make Use of Bound Variables? M. Böttner and W. Thümmel (eds. ), 2000, Variable Free Semantics, Secolo, Osnabrück, 200-209. Johan Bos (2005): Towards Wide-Coverage Semantic Interpretation. In Proceedings of Sixth International Workshop on Computational Semantics IWCS-6. Pages 42-53. Mark Steedman and Ivana Kruijff-Korbayová (2003) Discourse and Information Structure Journal of Logic, Language and Information, Vol. 12, 249-259. Mark Steedman (2003) Information-Structural Semantics for English Intonation, LSA Summer Institute Workshop on Topic and Focus, Santa Barbara July 2001, Draft 2.2, May, for comments. 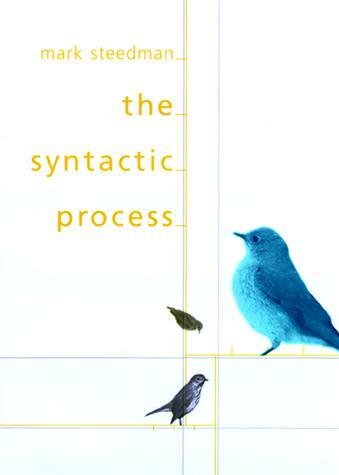 Mark Steedman (1996) The Role of Prosody and Semantics in the Acquisition of Syntax In James Morgan and Katherine Demuth, (eds. ), Signal to Syntax, Erlbaum, NJ., 331-342. Mark Steedman (1996) Representing Discourse Information for Spoken Dialogue Generation Proceedings of International Symposium on Spoken Dialogue, International Conference on Spoken Language Processing (held in conjunction with ICSLP-96), Philadelphia Sept 1996, 89-92. 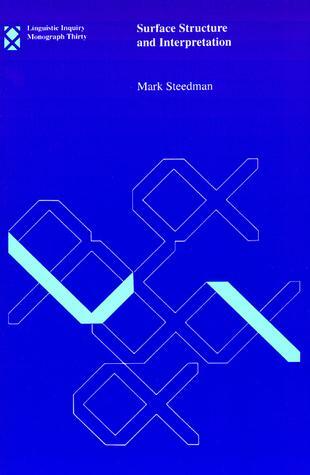 Mark Steedman (1991) Syntax, Intonation and 'Focus' In Ewan Klein and Frank Veltman, (eds. ), Natural Language and Speech Erlbaum, NJ., 331-342. Julia Hockenmaier and Mark Steedman (2007). CCGbank: A Corpus of CCG Derivations and Dependency Structures Extracted from the Penn Treebank. In Computational Linguistics, 33(3) 355-396. Julia Hockenmaier (2006). Creating a CCGbank and a wide-coverage CCG lexicon for German. In Proceedings of the Joint Conference of the International Committee on Computational Linguistics and the Association for Computational Linguistics COLING/ACL 2006, Sydney. Ruken Cakici (2005). Automatic Induction of a CCG Grammar for Turkish. ACL Student Research Workshop, Ann Arbor, MI. Julia Hockenmaier and Mark Steedman (2005). CCGbank: User's Manual. Technical Report MS-CIS-05-09, Department of Computer and Information Science, University of Pennsylvania. Stephen Clark and James R. Curran (2007a) Wide-Coverage Efficient Statistical Parsing with CCG and Log-Linear Models to appear in Computational Linguistics 33(4). Stephen Clark and James R. Curran (2007b) Formalism-Independent Parser Evaluation with CCG and DepBank in Proceedings of the 45th Annual Meeting of the Association for Computational Linguistics (ACL-07), pp.248-255, Prague, Czech Republic. Bojan Djordjevic, James R. Curran and Stephen Clark (2007) Improving the Efficiency of a Wide-Coverage CCG Parser in Proceedings of the 10th International Conference on Parsing Technology (IWPT-07), pp.39-47, Prague, Czech Republic. Stephen Clark and James R. Curran (2006). Partial Training for a Lexicalized-Grammar Parser . In Proceedings of the Annual Meeting of the North American Association for Computational Linguistics (NAACL-06), pp. 144-151, New York, 2006. James R. Curran, Stephen Clark and Johan Bos (2007). Linguistically Motivated Large-Scale NLP with C&C and Boxer in Proceedings of the Demonstrations Session of the 45th Annual Meeting of the Association for Computational Linguistics (ACL-07), pp.29-32, Prague, Czech Republic. Brian Harrington and Stephen Clark (2007). ASKNet: Automated Semantic Knowledge Network in Proceedings of the Twenty-Second Conference on Artificial Intelligence (AAAI-07) , pp.889-894, Vancouver, Canada. Michael White, Rajakrishnan Rajkumar and Scott Martin (2007) Towards Broad Coverage Surface Realization with CCG In Proc. of the Workshop on Using Corpora for NLG: Language Generation and Machine Translation (UCNLG+MT). Michael White (2006) CCG Chart Realization from Disjunctive Inputs. In Proc. INLG-06. Michael White (2004) Efficient Realization of Coordinate Structures in Combinatory Categorial Grammar . To appear in Research on Language and Computation. Mike White and Jason Baldridge (2003) Adapting Chart Realization to CCG. In Proceedings of EWNLG 2003. Mary Ellen Foster and Michael White (2007) Avoiding Repetition in Generated Text In Proc. of the 11th European Workshop on Natural Language Generation.. Crystal Nakatsu and Michael White (2006) Learning to Say It Well: Reranking Realizations by Predicted Synthesis Quality. In Proceedings of the Joint Conference of the International Committee on Computational Linguistics and the Association for Computational Linguistics (COLING/ACL-06), Sydney, Australia. Carsten Brockmann, Amy Isard, Jon Oberlander, and Michael White (2005). Modelling alignment for affective dialogue. In Proceedings of the UM-05 Workshop on Adapting the Interaction Style to Affective Factors. Johanna Moore, Mary Ellen Foster, Oliver Lemon, and Michael White (2004). Generating Tailored, Comparative Descriptions in Spoken Dialogue. In Proceedings of the 17th International FLAIRS Conference. David Reitter, Julia Hockenmaier, and Frank Keller. Priming effects in Combinatory Categorial Grammar. In Proceedings of the 2006 Conference on Empirical Methods in Natural Language Processing (EMNLP-2006) Sydney, Australia.